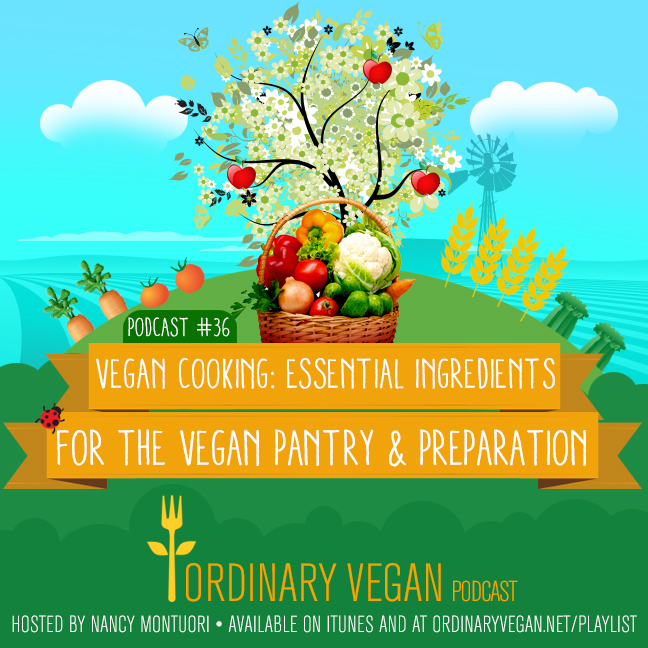 Vegan cooking begins with a properly stocked vegan pantry and knowing what essentials to buy and how to cook them. Most of my podcasts are centered around nutrition and the value of a plant-based diet to help you live a long, healthy life, but today I want to get back to the basics of vegan cooking. When you first begin experimenting with a plant-based diet, it can be confusing. What are the essentials to buy? How do I properly cook them? And what intrinsic foods are needed to keep your family healthy and energized? 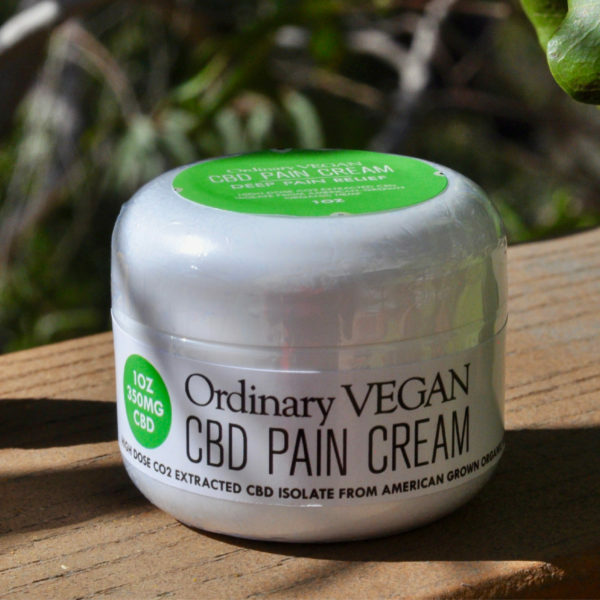 Those topics are also helpful for anyone who has been practicing a vegan diet for some years because slowing down and re-evaluating how we do things can improve our approach to a plant-based lifestyle. 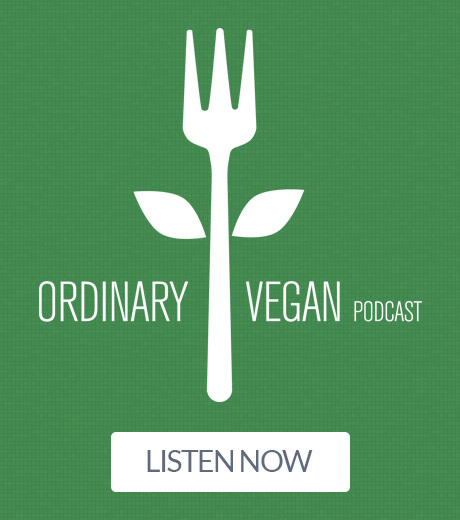 In today’s podcast, we learn what vegan foods are essential to a healthy plant-based diet and techniques to properly cook those foods. We also explore cooking with fresh and dried herbs. Herbs add flavor and brightness to any meal but maximizing that flavor is something that most of us have never been taught. In this podcast, we will learn the difference between delicate and hardy herbs and how to store, prepare, and cook with those herbs. Last but not least, today we visit Ordinary Vegan’s kitchen not once, but twice and create two recipes that make me excited about vegan cooking; Vegan Fried Egg with a runny center and my favorite Mediterranean Vegan Omelet. Making the switch to vegan cooking can't be covered in one podcast so this will be Part 1 of my series on vegan cooking and the ultimate vegan kitchen. Please make sure you come back for more. 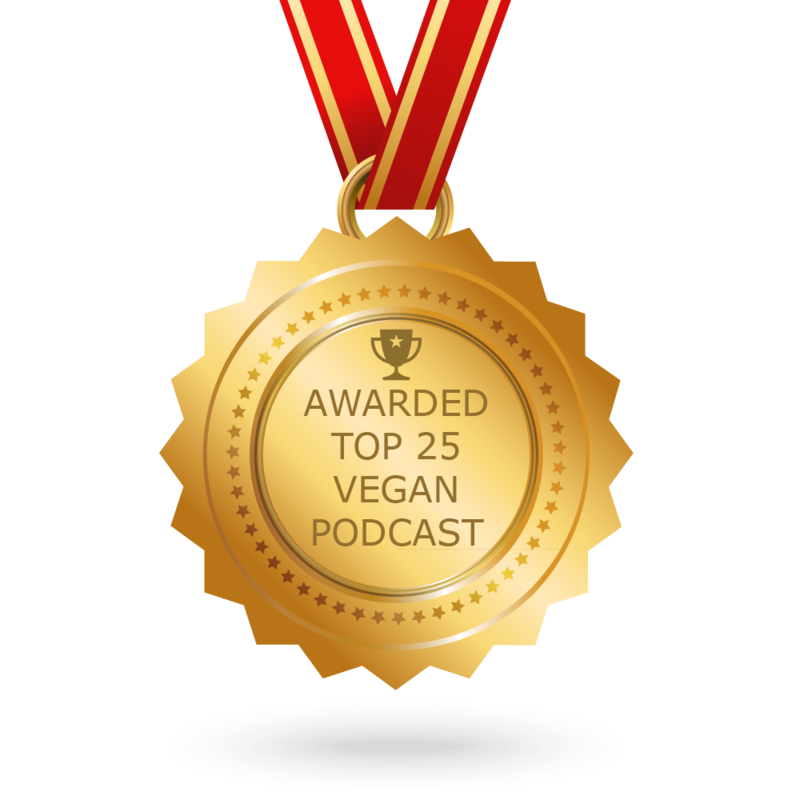 If you are looking for more vegan grocery list ideas, listen to Podcast #17: The Ultimate Vegan Shopping List. You can also join our health and wellness community on Facebook. There are over 317,000 healthy, vibrant community members waiting to embrace you. 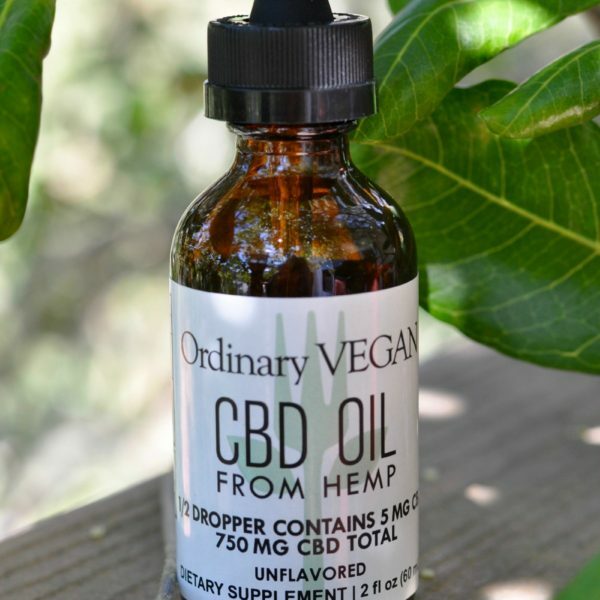 In 2018, after two years of research, I launched my first product – Ordinary Vegan plant-based CBD Oil from Hemp. 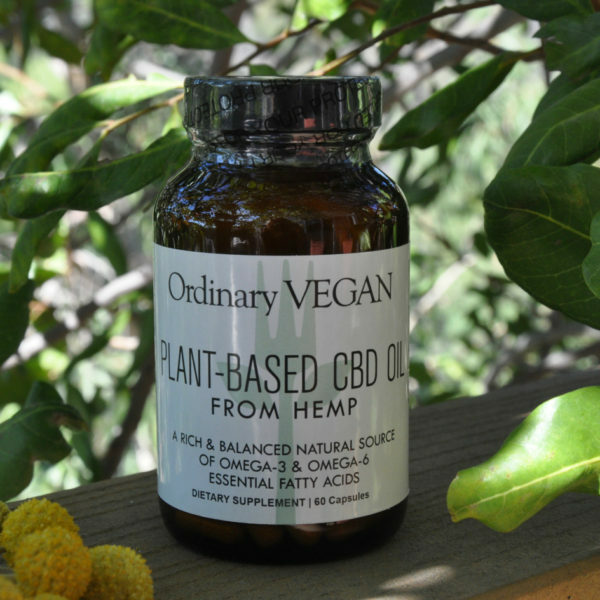 My fact-finding, research and testimonials from our vegan community proved to me that this natural food supplement could help people. Whisk all the ingredients together over medium high heat. Continue to whisk while it cooks for about 3 to 5 minutes or until the vegan you sauce thickens. Transfer the tofu to a work surface, turn the block on its side and slice lengthwise to create 4 even slabs. Cut each slab into a round using a 3-inch ring mold or cookie cutter. Save the remnants for another recipe. Heat the vegan butter in a non-stick skillet over medium heat. When the skillet is hot, add the tofu slices and pan-sear until golden brown on both sides. Transfer to a serving place and cut a small circle in the middle with a shot glass or knife. Pour int the vegan yolk sauce into the hole. Season with salt and pepper and serve. Keep some extra mixture in the refrigerator for quick and easy pancakes. ½ cup to ¾ cup of cooked finely chopped vegetables - I like black olives, chives and sun-dried tomatoes. Avocado, chives, salsa and fresh herbs to finish. Add the batter to a large hot saute pan. Sprinkle the chopped vegetables on top. Cook for 4-5 minutes on one side or until it is firm and can be turned over like a pancake. Gently fold over to one side and cook for another few minutes or until it is completely dry.